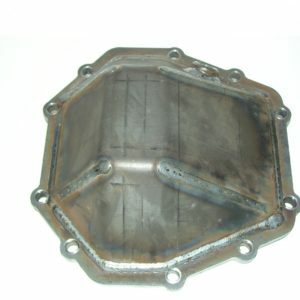 Description : ½” x 2” bar stock cut and formed then welded up the center of cover over ring gear portion of the cover tying into the ½” bolt ring attop and bottom. Cover pan is ¾” thick in this area, strongest option on market anywhere. 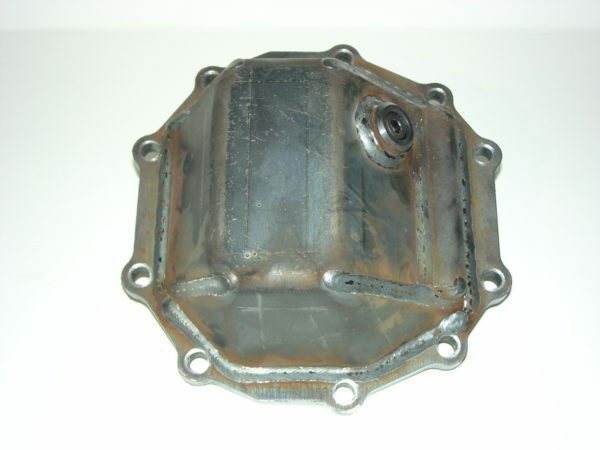 Recommended for hydraulic ram mounting of cover along with stud and nut option. 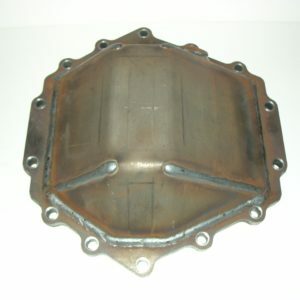 Description : A laser cut and formed ½” plate that is attached to the lower three facets of the cover, good for creating a ramp out of the lower section of the cover and protecting vulnerable bolt heads. Cover pan is ¾” thick in this area, strongest option on market anywhere. Description : A combination of the above mid plating and lower ½” plating. Indestructible, race proven design &most covers weigh in the 20# range with this value added option. Have a heavy foot, this is just for you! Being the first true 3 piece fabricated cover on the market for the last 20 years has some advantages. We built these right from the start and give you enough choices to tailor this to your application. 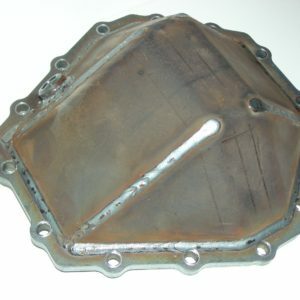 We start with a laser cut ½” bolt ring as the foundation for your semi-custom cover. The next step in this process is to add a laser cut ¼” shell and precision form it eight ways to create a triangulated structure. Finally we add a heavy machined fill bung and plug. The cover is then welded complete in a precision fixture. Once it has cooled we pull it and complete the process with final machining of your chosen options. We give you many options to choose from but realize all GLO covers comm,,me with a lifetime warranty regardless of the upgrades. From recreational seasonal trail riding to Ultra Four competitors and everywhere in between we have your back to make sure your major investment inside your housing gets you home.